We exist in a field of infinite possibilities. 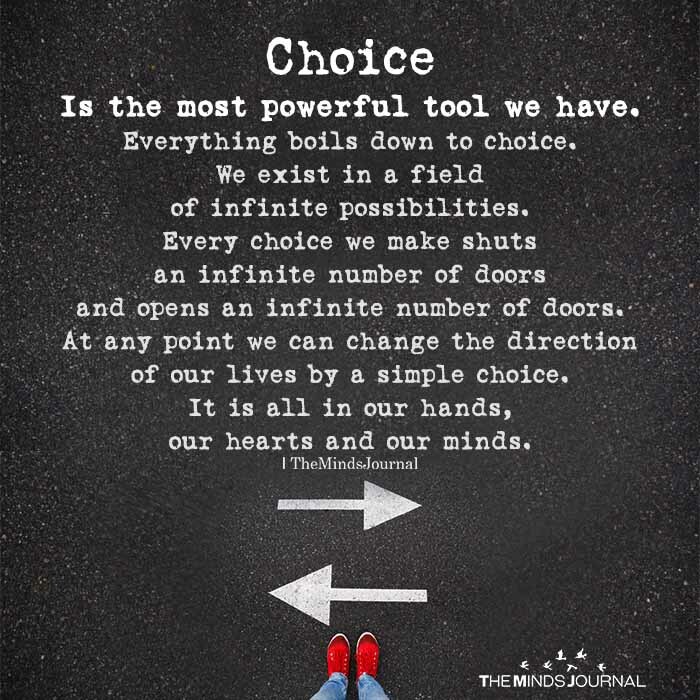 Every choice we make shuts an infinite number of doors and opens an infinite number of doors. At any point, we can change the direction of our lives by a simple choice. It is all in our hands, our hearts, and our minds.